Home / Retail / Should Synaxon and Network Group merge? The two have a lot of common ground, but could they be the Posh and Becks of the UK IT channel? Should Synaxon and Network Group merge? The two IT dealer groups share a lot of common ground, argues PCR editor Dominic Sacco. I have to say this year’s Synaxon Conference was the group’s best yet. There was a wide pool of different vendors exhibiting, the speakers were great (Kriss Akabusi, anyone?) and the awards with a sit-down meal was a first for Synaxon. When I was coming home after the conference on the Friday, I realised how similar it was to Network Group’s gala event earlier this year. And it got me thinking – the two IT dealer services/buying groups actually have quite a bit in common. Obviously, both have notable buying power, allowing members to get better deals on products and services that they wouldn’t usually be able to get by going direct to some of the bigger distributors and vendors. 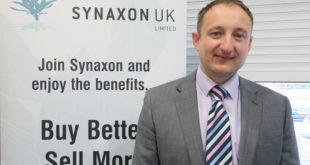 Synaxon has more members – some 600 in the UK – and while it’s fair to say Network Group is a little more selective with its near 100 or so, Network Group’s slogan is ‘strength in numbers’ – and joining forces with Synaxon would certainly give it even more strength. Synaxon is launching a new TrustATec service, allowing web users to find the IT dealer closest to them. Similar to the popular TrustATrader online network, which allows web users to search for a local tradesperson, the idea with TrustATec is to let consumers and businesses search online to find a dependable local IT services provider. It’s a great idea, but in a way it’s a shame it’s exclusive to Synaxon members only. I think this scheme has the potential to go big on a national scale, and pairing up with Network Group could extend its reach further. However, there are a couple of points that make me feel such a collaboration would never see the light of day. 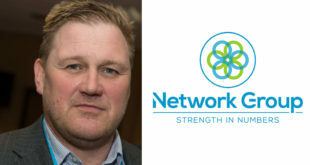 Have a read of our ‘day in the life of a Network Group member’ article from last year and read what MD Phylip Morgan says about the number of reseller applications it turned down, and what they look for in partners. “There’s no room for lifestyle businesses around here; we are totally serious about what we’re doing. If you’re generating £1 million per year, we want to know what you’re aiming for next year, where that’s going to come from and where the opportunities lie,” Morgan told me last year. They obviously have solid buying power, but want businesses that share the following three values: the desire to grow, collaborate and innovate. If they stubbornly stick to those values I’m not sure they would accept every Synaxon member and that would be a shame. Because I feel Synaxon has a lot to offer Network Group too, namely through its EGIS procurement platform and marketing initiatives like iTrends. The coming together of these service offerings and increased buying power would create a very strong dealer services group indeed. Both have infectious positivity too, which makes me think something like a merger could happen. Although… the other thing of course is the difference in how the organisations operate. 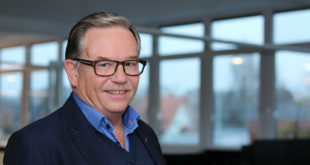 Synaxon UK is a subsidiary of and is 75 per cent owned by Synaxon AG in Germany, whereas Network Group is owned and run by its members (with profits driven back to the members). Many of those would no doubt not want to lose their part of the group and miss out on their own share of the spoils. In writing this I’ve almost convinced myself such a marriage would never happen, but that doesn’t mean I wouldn’t like to see the two pair up. Look at David Beckham the footballer and Victoria Adams the Spice Girl – both were successful at what they did as individuals before they married, but now they’re together I can’t imagine them apart. (okay so that wasn’t the best analogy but you get my point – Synaxon and NG could become some kind of superforce that we don’t yet know). Feel free to share your thoughts below or label me mad for thinking up such a possibility.